Upon seeing that “the words of Amulek had silenced Zeezrom,”1 Alma took advantage of the situation to “unfold the scriptures beyond that which Amulek had done” (Alma 12:1). One of the topics Alma expounded on was “the mysteries of God” (vv. 9–11). These sacred teachings included topics concerning Adam and Eve in the Garden of Eden, the Fall, temporal and spiritual death, the probationary state of humankind, the Resurrection, and Final Judgment. John W. Welch, “The Melchizedek Material in Alma 13,” in By Study and Also By Faith: Essays in Honor of Hugh Nibley on His 80th Birthday, ed. Stephen D. Ricks and John M. Lundquist (Salt Lake City and Deseret Book and FARMS, 1990), 2:238–72. 1. For more on Zeezrom, Book of Mormon Central, “Why Would Zeezrom Attempt to Bribe Amulek? (Alma 11:22),” KnoWhy 118 (June 8, 2016). 2. The word mystery in the scriptural sense essentially connotes sacred teachings reserved for the spiritually prepared. The mysteries are associated with sacred space, such as the temple, or with secret rites administered to those deemed worthy of initiation into holy orders. It ultimately derives from the Greek mystērion, meaning “secret rite,” and was used to describe the rites and festivals of the ancient Greek cults. A related word, mystēs, means the “one initiated” into the secrets of the given cult. See Liddle and Scott’s Greek-English Lexicon (Oxford: Claredon Press, 1891), 456. Hugh Nibley explained, “The word ‘mystery,’ as used by the early Jews and Christians (taught in secret to the apostles), was nothing else than a series of initiatory ordinances for achieving the highest salvation.” Hugh Nibley, Temple and Cosmos, The Collected Works of Hugh Nibley: Volume 12 (Salt Lake City and Provo, UT: Deseret Book and FARMS, 1992), 28; Andrew I. Miller, “‘Able to Know Heavenly Things’: The Ante-Nicene Mysteries and their New Testament Sources,” FairMormon Papers and Reviews 2 (2015). The basic Hebrew equivalent to this concept is the word sôd, meaning “confidential discussion,” “secret, scheme,” or “circle of confidants.” See Ludwig Koehler and Walter Baumgartner, The Hebrew and Aramaic Lexicon of the Old Testament, 2 vols. (Leiden: Brill, 2001), 1:745. Compare Stephen O. Smoot, “The Divine Council in the Hebrew Bible and the Book of Mormon,” Studia Antiqua 12, no. 2 (Fall 2013): 1–18; William J. Hamblin, “The Sôd of YHWH and the Endowment,” Interpreter: A Journal of Mormon Scripture 4 (2013): 147–154. 3. Thomas R. Valletta, “Conflicting Orders: Alma and Amulek in Ammonihah,” in The Temple in Time and Eternity, ed. Donald W. Parry and Stephen D. Ricks (Provo, UT: FARMS, 1999), 193. 4. Valletta, “Conflicting Orders,” 193–194. John W. Welch likewise has observed: “Based on the appearance of the following elements in Alma 12–13, the Nephite temple ceremony utilized familiar temple motifs, including abundant creation imagery regarding the fall of Adam and Eve (see 12:22–26), the redemption (see 12:25–33), the issuance of commandments (see 12:31–32), one’s calling (see 13:3–8), clothing (see 13:11–12), the facing of judgment (see 12:14, 32–35), and symbolic entrance into the presence of God (see 12:36; 13:12).” See John W. Welch, “The Temple in the Book of Mormon: The Temples at the Cities of Nephi, Zarahemla, and Bountiful,” in Temples of the Ancient World: Ritual and Symbolism, ed. Donald W. Parry (Salt Lake City and Provo, UT: Deseret Book and FARMS, 1994), 366. Alma, the High Priest, drew often on sacramental truths that can be related to temple themes, as he did in Alma 5. 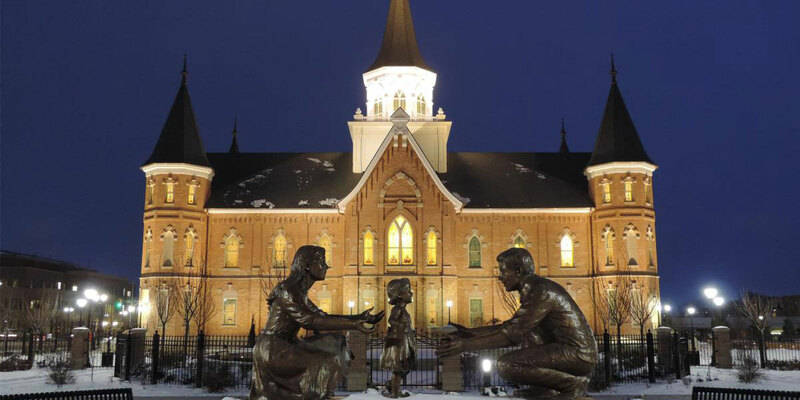 See Book of Mormon Central, “Why Did Alma Ask Church Members Fifty Probing Questions (Alma 5:14-15),” KnoWhy 12 (June 1, 2016). 5. Valletta, “Conflicting Orders,” 194. 6. Gerald E. Smith, Schooling the Prophet: How the Book of Mormon Influenced Joseph Smith and the Early Restoration (Provo, UT: Neal A. Maxwell Institute for Religious Scholarship, 2015), 85.